While the price of crude has many Albertans worried, there's frustration the issue isn't being met with enough urgency, even as economists warn of a broad impact. The street outside Calgary's downtown Hyatt hotel was teeming with pro-oil demonstrators Thursday, forcing police to close traffic along a busy avenue as the growing crowd spilled over the sidewalks. While a business audience streamed inside the hotel to listen to the prime minister speak, the large crowd chanted, "Build that pipe!" and "Trudeau must go!" But amidst the rally's clamour, there emerged an unexpected refrain: "O, Canada." The anthem had the feel of an acoustic flare — an SOS signal to the country and its leaders about the province's plight. While the miserable price of crude has many Albertans worried, there's frustration the issue isn't being met with enough urgency, even as economists warn of a broader impact. 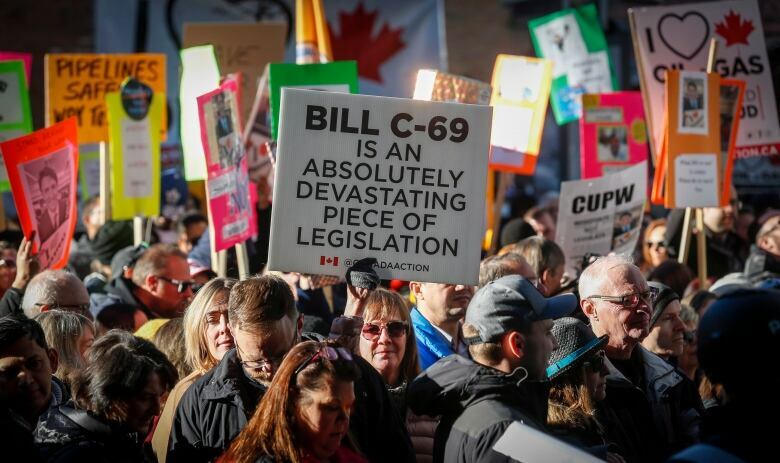 "People don't realize how much the energy sector contributes to the economy ... it supports families and it supports Canadians," Minh Nguyen, 39, who works in the sector, said at Thursday's rally. "It's not just an Alberta problem. It is a Canadian problem." Nguyen's concerns have been echoed across the oilpatch and Alberta's legislature: The situation is serious. The fundamental issue, as Scotiabank Economics explains, is there aren't enough pipelines to transport the crude from where it's produced in Western Canada to where it's consumed — predominantly U.S. refineries. This has widened the discount received for Canadian crude relative to U.S. varieties as Canadian barrels need to be marked down for the higher cost of transportation, the Scotiabank report said. The discount is around $13 US a barrel in normal times, it said, climbing over $20 US to account for the cost of pricier transportation like rail. "But when production rises beyond the capacity of pipelines and rail combined, as Canada's oilpatch is experiencing today, producers are forced to utilize even higher-cost transportation methods or to wait out the storm in provincial storage tanks already filled to the brim," reads the report. "The value of these stranded barrels plummets, dragging the regional benchmark down with them." The result of the oil glut has been hard on many producers, with discounts tracking around $40 US a barrel in recent weeks, climbing as high as $50 US. Analysts expect the situation to improve in the months ahead, but meanwhile the industry is losing tens of millions of dollars a day. While initially the discounts were an issue largely for oilsands crude, it's not stopping there. "This price deterioration has now spread to all the other different grades of oil that we produce," economist Peter Tertzakian, executive director of ARC Energy Research Institute, told CBC News last week. If the oil glut isn't addressed in the next few weeks, it could affect spending and jobs across the West, Tertzakian said. The situation threatens to punch a big hole in Alberta's finances, but there are also warnings of a broader impact. 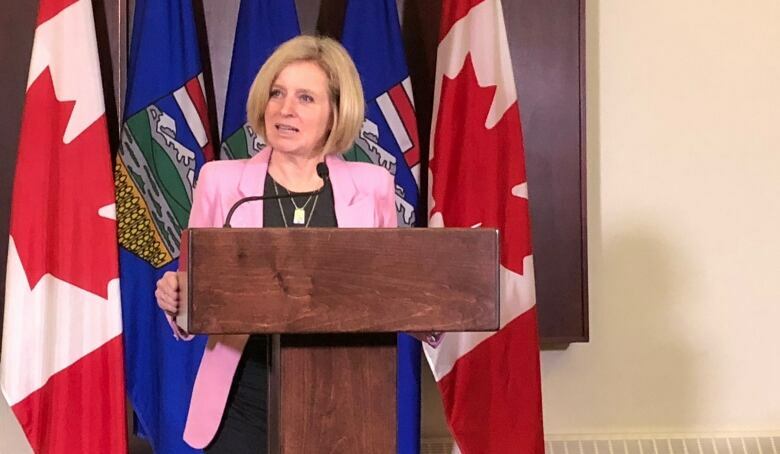 Premier Rachel Notley, for one, estimates it is costing the Canadian economy $80 million daily. Making matters worse, the benchmark price for U.S. oil, West Texas Intermediate, has also been falling, dropping on Friday to its lowest level since September 2017. An analysis from BMO Capital Markets on Friday said the longer the extreme lows persist for Canadian oil prices, the greater the economic damage for Alberta, and the national economy. "The way it can affect the entire country is through overall government revenues," Doug Porter, chief economist at BMO Capital Markets, said in an interview. "Generally speaking, the federal government doesn't get much directly from the energy industry, but indirectly they certainly do. "This will hit government revenues and it can also weigh on the Canadian dollar as well." The price gap has led some oil producers to do something extraordinary: call on the provincial government to mandate production cuts to help clear the glut. But the request has proven divisive, with large integrated companies — Suncor, Husky Energy and Imperial Oil — rejecting the idea, saying it could create both economic and trade risks. Alberta's premier appointed a team of envoys to seek solutions with industry, though a quick and easy solution appears elusive. In the meantime, Notley continues calling on Ottawa to help fund a strategy to move more oil by rail. "If Ottawa won't come to the table, well, then we'll get it done ourselves," Notley told drillers Thursday. The premier's words may speak to a deeper frustration. Calgary-based pollster Janet Brown said with the economic downturn, difficult recovery and ongoing troubles with getting pipelines built, there may be more deep-rooted concerns. "You're really dealing with a heavily emotional situation for a lot of Calgarians," Brown said. "This is not a question of just pure economics. It's really about people's lives and livelihood and their family, and it's just as emotional for Calgarians as it is a practical concern." She said some people also feel there's a measure of satisfaction outside Alberta to see the province struggle. But University of Toronto political scientist Nelson Wiseman doesn't believe that's actually the case. Albertans' concerns are being heard, he said. 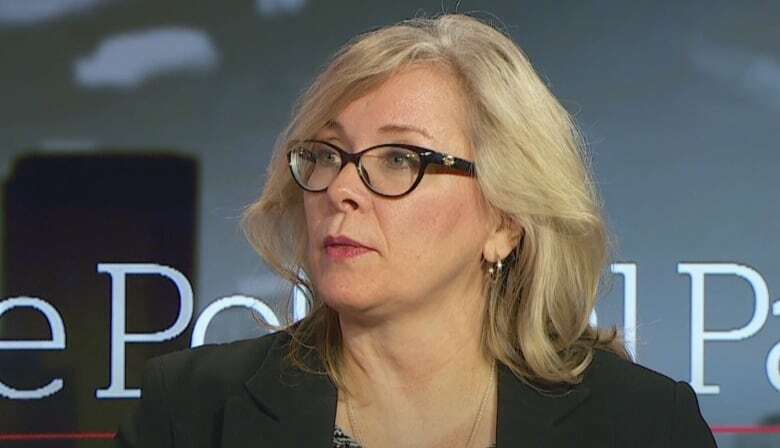 "Once you get outside of the environmental groups, the attitude is … the industry is vital, not just for Alberta, for Canadian revenues," Wiseman said. "People here don't think, 'gee, you know if Alberta loses somehow we're better off.' I don't think people see it that way at all." On Thursday, Prime Minister Justin Trudeau acknowledged Alberta is in a "crisis" over low oil prices, but people who'd hoped he'd come to Calgary with news of help would probably have been disappointed. 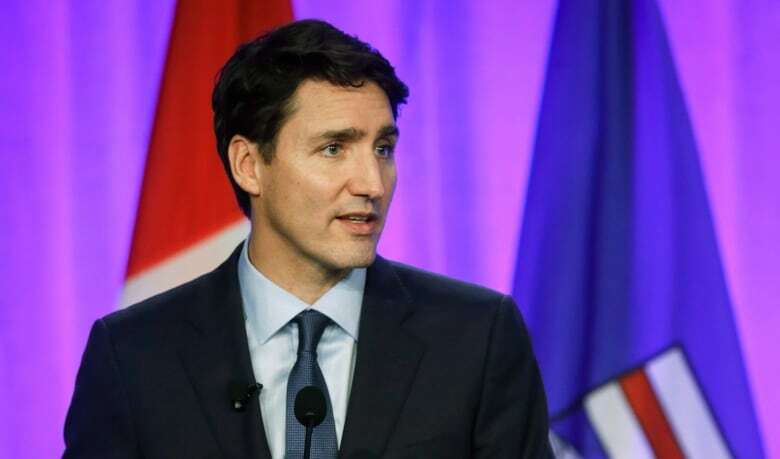 Oilpatch leaders, who met privately with Trudeau, said the prime minister appeared to listen to the sector's concerns over oil prices, pipeline construction and Bill C-69, which would overhaul the approval process for energy projects. "He made it very clear he understands the concerns of the industry," said Cenovus CEO Alex Pourbaix told reporters immediately following the meeting. But as time winds on — and oil prices languish — concern and frustration build. "It tells you how desperate times are," Canadian Natural Resources executive vice chairman Steve Laut said when asked Thursday about the large crowd of demonstrators outside the Hyatt. "You don't normally see that kind of thing happen."